Dallas, Donald. Purdey Gun and Rifle Makers : The Definitive History. Pearl Baker. The Wild Bunch at Robbers Roost. Steindler,m Robert. A. Home Gunsmithing Digest: The Do-IT-Yourself Gunsmithing. 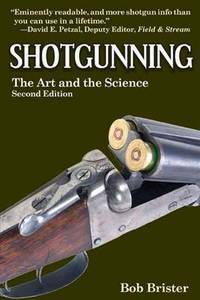 From Shotgunning to The Amateur Guncraftsman, from	Pageant Of the Gun to Shotguns By Keith, we can help you find the weapons books you are looking for. As the world's largest independent marketplace for new, used and rare books, you always get the best in service and value when you buy from Biblio.com, and all of your purchases are backed by our return guarantee.